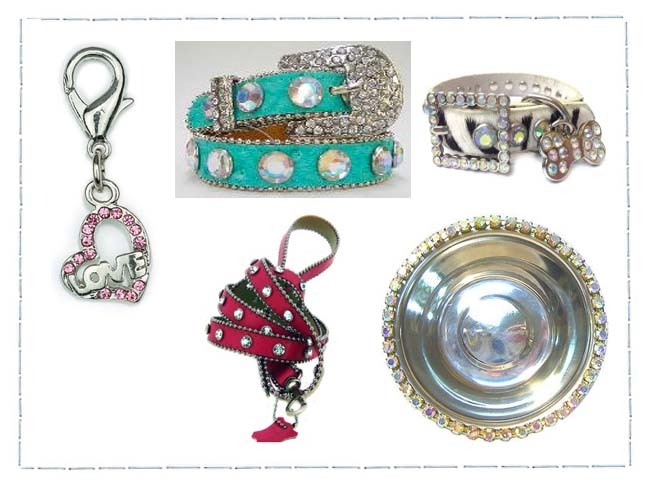 If you’ve been hoarding the Swarovski or Rhinestones all for yourself, isn’t it time you shared a little bit of that bling with your furry friends too? Pet accessories are always fun purchases for you own pet or when chosing a gift for that pet lover in your life. And while I’m not suggesting that you break out the real bling for your pets, it’s always fun to add some playful accents and sparkle to their collars, leashes or pet food bowls. 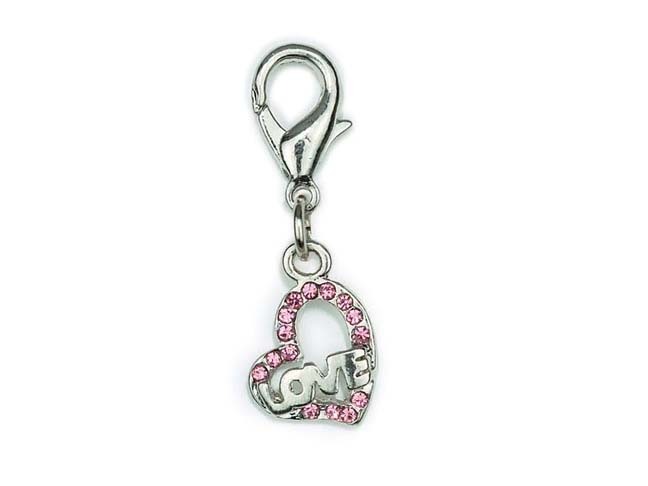 This Aria Hearts of Love Charm is easily added to any collar to make a sparkling statement to show how you feel about your special pet. 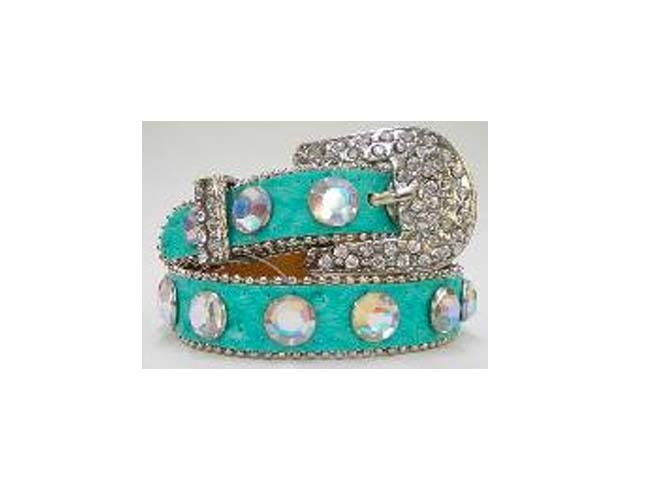 Check out this eyecatching Rhinestone Dog Collar from BeauandBray that we found on Etsy. You’ll be surprised at much sparkle you’ll get for such a well priced item. 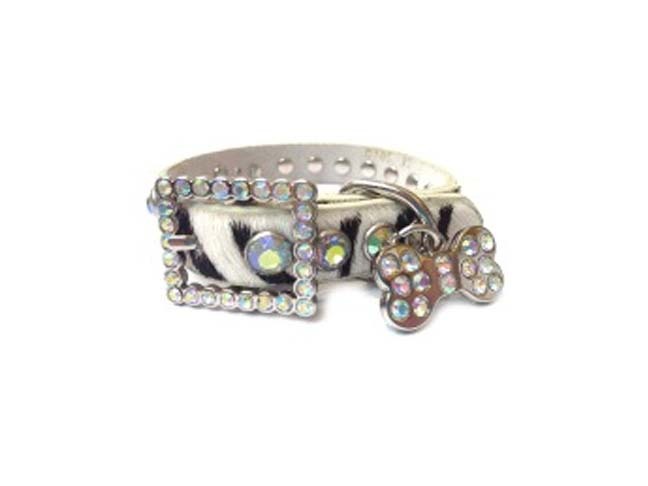 This narrow Cowhide Zebra Dog Collar is sure to gather rave reviews from all your pals at the dog park or while walking in the neighborhood. It’s available in a variety of sizes and comes in a cool Leopard pattern too. The rich color of this red rhinestone studded leash will add style and flair to your pet’s accessories and it comes in a variety of other colors too. 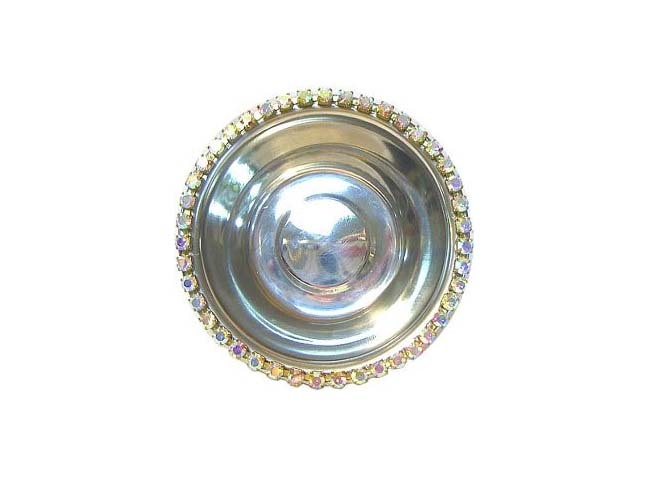 This Crystal Aurora Borealis pet food bowl is trimmed in Rhinestones and sized for the petite pet, but is also available in a larger one quart size from this manufacturer too. Places Cats SleepFrogs, Snakes, Turtles – Oh My!